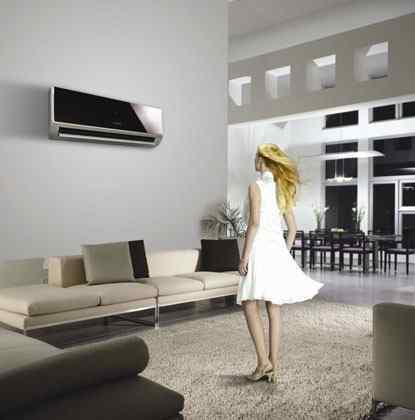 $1899 for the unit, installed, tested & working in your home. There's no upfront equipment charges, to have the Smart Air 100 installed. We provide you with one low rate every month. There would be a lifetime warranty on the unit as well. This includes any parts and labor required to fix the unit at any time, complete with a lifetime maintenance plan. Live telephone help is available to you with this unit, 24 hours a day, 7 days a week. If you want to rent this air conditioning unit, we can also provide you with a service protection plan on your furnace - for free - only in the Kitchener-Waterloo, Guelph or Cambridge areas! 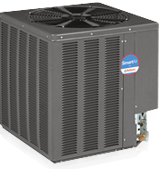 The SmartAir 1000 AC unit exceeds the standards in the industry, in terms of efficientcy. The system uses R410A refrigerant. This is environmentally friendly. It operates seamlessly and quietly. This system is constantly filtering. This removes contaminants to your air supply, which means the air will be healther to breathe, too. The SmartAir 1000 Air Conditioner comes with a ten (10) year warranty on the parts, and any labor required. If renting the unit, then there is a lifetime service plan with the unit. This includes all parts and labor! Technical support is available live by phone 24 hours a day, 7 days a week.